For those who suffer from dandruff, treating and controlling the condition can be hit and miss. Louisa Barker has tried a variety of different anti-dandruff shampoos in her quest to control her dandruff but not all of these have been successful. Some types of anti-dandruff shampoo have caused her scalp to become irritated, and this has led her to opt for a more natural choice of anti-dandruff product as part of her treatment for dandruff. Finding the right anti-dandruff shampoo has not been easy for Louisa. She says, “I used to use one brand of anti-dandruff shampoo on a frequent basis but I stopped buying that as I found that it didn't work effectively after a while. I then switched to another brand but this actually made the dandruff worse. I am currently using a 2-in-1 shampoo and conditioner for everyday use”. Louisa uses her current anti-dandruff shampoo on a daily basis. She says, “I wash my hair every other day and used to use my current brand of anti-dandruff shampoo every time that I washed my hair. However, I recently started using it once a week instead and this had an effect on my dandruff. Based on this, I would say that the product is effective when it is used on a regular basis. For me, once a week was definitely not enough to keep my dandruff at bay”. Some anti-dandruff shampoos can cause irritation to the scalp due to their ingredients. For example, some contain salicylic acid, which is also found in acne products. Louisa has found that certain anti-dandruff products have a tendency to make her scalp sore if used regularly: “My scalp can be quite sore in the first place if the itching causes me to scratch my scalp. 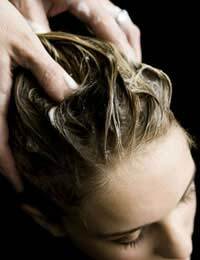 Some anti-dandruff shampoos have made my scalp more sore, presumably because of what they contain in terms of treating the dandruff. This does not always happen, so different brands may have slightly different ingredients”. In her fight against dandruff, Louisa has opted for alternatives to the more popular anti-dandruff shampoos. In particular, she bought a bottle of coal tar shampoo from the chemist. This is designed to decrease cell turnover so that less skin cells flake off from the scalp. Although it was effective, Louisa felt that it had some definite drawbacks. She says, “It did what it claimed, but it wasn't the most pleasant shampoo in the world. It was brown, quite sticky and had a strong smell that lingered both on my hair and scalp, and also on my pillow”. For other dandruff sufferers, Louisa has the following advice: “Most anti-dandruff shampoos seem to work at their best when they are used on a regular basis, for example every day or every other day. If you only wash your hair on a weekly basis, this doesn't control the problem. Specialist anti-dandruff shampoos do work, but they can smell strong and are sometimes hard to lather up properly”.